The new Hot Tub Showroom in Staffordshire is your superstore for hot tubs in Derbyshire, Jacuzzis in Staffordshire and hot tub accessories in Shropshire. The trip from Derby, Stafford, Stoke-on-Trent or Shropshire is a short one, so why not come along to our hot tub superstore and actually try out one of our hot tubs. Cheap prices on hot tubs for sale in Derbyshire and Shropshire, direct from the Hot Tub Showroom in Staffordshire. Visit our new hot tubs superstore for great deals on Jacuzzi hot tubs. Eco-friendly furniture by Pacific Green. Exotic and beautiful sofas, chairs, tables and lamps hand made to amazing designs. 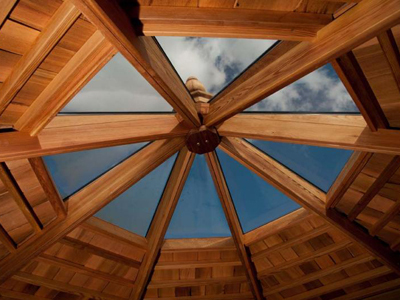 Luxury outdoor garden buildings, hot tub lodges made from Cedar Wood and children's play equipment by CedarTree UK. Looking for hot tubs in Derbyshire? Malibu Hot Tubs has the best and latest display of hot tubs and Jacuzzis close to Derby to buy and to try in our new purpose built hot tubs showroom. We supply the Derbyshire area, including hot tubs in Derby, Jacuzzi hot tubs in Nottingham and the East Midlands. As well as hot tubs, our new hot tubs showroom also has a hot tub changing room so that you can try out any of our Jacuzzis and hot tubs before you decide which hot tub suits you. If you are looking to buy a hot tub in Derby or the Derbyshire area, why not visit the Hot Tub Showroom and enjoy a relaxing test drive with your family and friends to find out just how amazing hot tubs can make you feel. 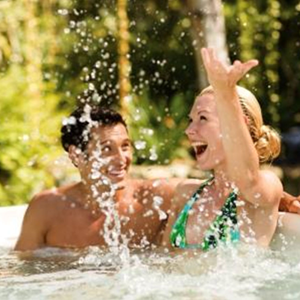 Simply pop in to the hot tubs showroom with your swimwear, and hop in to one of our relaxing hot tubs. Once you’ve tried out one of our quality hot tubs, feel free to look around our other luxury lifestyle products or simply laze around on one of our exotic furniture pieces by Pacific Green and watch a bit of TV on one of our FlatVision all weather televisions. Why not make the best investment in your health, wellbeing and stress reduction by owning your own Spa Crest, Coastal Spa or Jacuzzi hot tub? By taking the step to buy your quality hot tub from the Hot Tub Showroom, you are taking your relaxation and pleasure to the next level. If you’re looking for cleaning products and accessories for your hot tub, then the Hot Tub Showroom can supply you with everything you need to keep your hot tub looking, feeling and working like new. Our care products are available at very competitive prices. Just contact us for more information. To further enhance the cleanliness of your hot tub, Lucite(R) cast acrylic is used in the manufacturing of many spas. Lucite(R) cast acrylic has always been the easiest to clean, but now the easiest just got EASIER with the addition of Microban(R). An odourless, tasteless and colourless ingredient, Microban(R) is molecularly built into the Lucite(R) cast acrylic surface, much like the Spa’s colour. Microban(R) antimicrobial product protection inhibits the growth of bacteria that cause stains and odours by intercepting bacteria at the spa surface. In other words, Microban(R) will keep your hot tub cleaner between cleanings! Plus Microban(R) won’t wash off or wear away, which means it will be just as effective years from now as it is today! 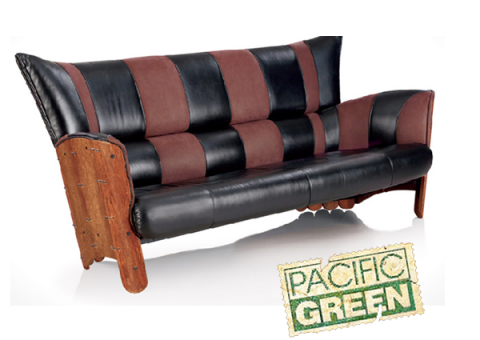 Eco friendly furniture from Pacific Green. © 2013 Malibu Hot Tubs. All Rights Reserved.